It has been a long journey for those waiting for Pro Tools 11. First announced, or should we say implied, in the winter of 2011, the idea of a 64-bit version of Pro Tools has perhaps been the most eagerly anticipated release. 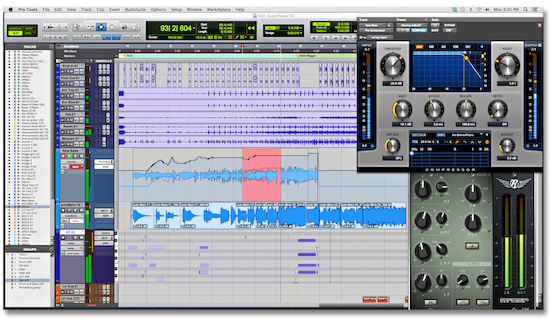 This means that there has been over a year of discussion on this and many other forums about what PT 11 can and can’t do - here are 5 common misunderstandings about Pro Tools 11. It neither sounds better nor worse, it sounds the same. The 64-bit AAE is all about performance not sound. If you are buying it to improve your sound, then you’ll be disappointed; for that, you need to look at new interfaces with better A/D pre-amps and converters - not at the PT 11 software. There is no such thing as AAX2, there is only one AAX format. This misunderstanding was perhaps not helped by the early releases of 32-bit versions of AAX plug-ins, which do not work in Pro Tools 11. You need a 64-bit version, but this is not AAX2 — simply AAX 64-bit. Read recent discussions about the AAX release delay here and the thinking behind AAX here. Not at all, check out our AAX database, supported by our friends at Softube. It has a column showing you the cost to replace existing plug-ins in the AAX format. Even though creating AAX versions of existing plug-ins has cost vendors time and money, nearly all are not charging to update your existing plug-ins. All of our team have moved to Pro Tools 11 and we already have a lot of our plug-ins in AAX 64-bit format and have not been charged for the AAX format upgrade. If push comes to shove, use one of our many ways to host your favourite plug-ins in Pro Tools 11 (some of these work-arounds are FREE). With a long wait for letters, some students are frustrated at not being able to use Pro Tools 11. If you are one of these people, simply download the demo from Avid and use that for 30 days (or until your full licence arrives). Installing the demo should not create issues later. A move to Pro Tools 11 is not without its issues, but it is best to concentrate on the real ones and not the urban myths that perpetuate on social media.